Warehouse.Space is an advanced logistics and e-commerce solution, which makes selling products to the worldwide marketplace more feasible and accessible. If your e-commerce distribution centre is based in a regional area outside of the UK, but you sell worldwide, this solution allows you to ship your products to UK customers from a local hub. 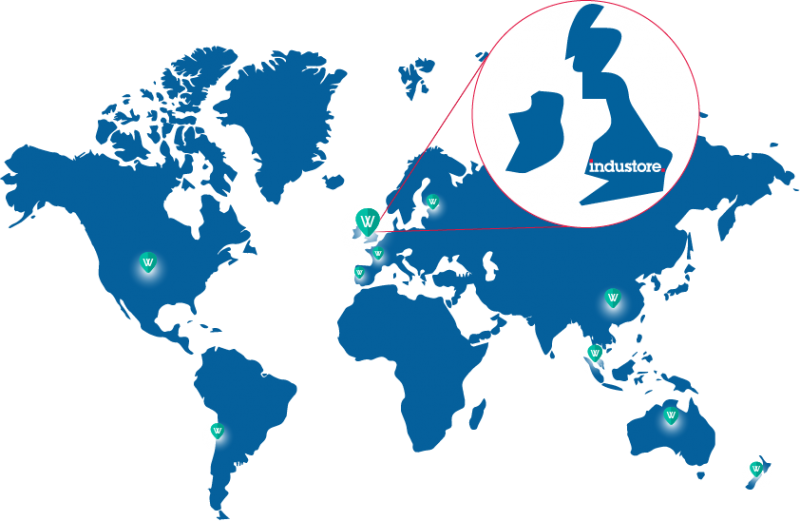 Industore is the official UK partner and distribution centre for Warehouse.Space. We will securely hold your products in Hänel automated storage and retrieval systems, and use sophisticated pick-to-light technology and barcode access systems to pick, pack and dispatch your products throughout the UK quickly, and cost effectively. We have utilised over 20 years of our software and logistics knowledge to develop this partnership and deliver a cost effective, traceable and real time solution for e-commerce businesses worldwide.